Get maximum frame protection with this upright roof-mounted bike carrier as it makes contact with wheel only. The arm is adjustable creating a hassle free fit experience. Find Your Vehicle Compatibility Here. 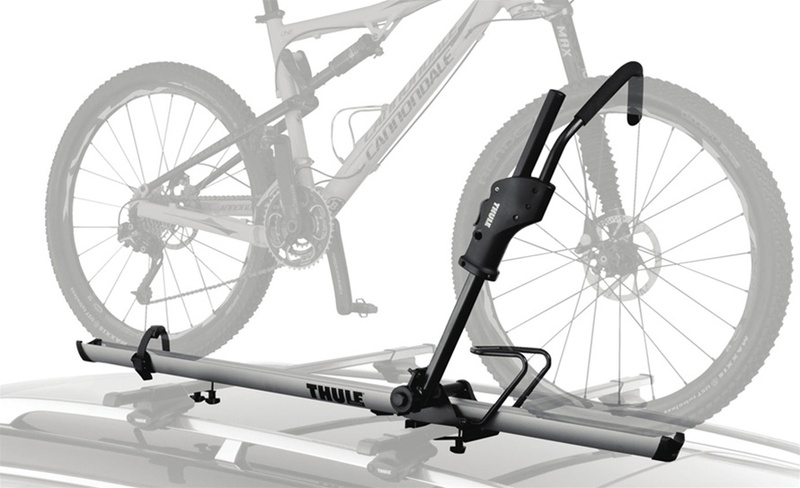 Fits Thule rack systems, round bars and most factory mounted racks. 2 One-Key lock cylinders (SOLD SEPARATELY) lock the bike to carrier and carrier to rack.